The insects and pests tend to share our homes with us. They may be seen or maximum times they can go unseen, thus invading homes with all their might. An array of ants climbing the sugar jars, the cockroaches roaming around the kitchen sink and the trash cans are pretty common scene. Even the mosquitoes often attack the house, and in fear of that you tend to shut down the windows in the evening. The pests are common, but not at all safe and hygienic. The pests are harmful and dangerous; they can cause several diseases too and must be removed by a professional exterminator. But you may also use some home remedies for pest control and do it on your own without calling a pest control agency. There are many non toxic home remedies for pest control already available in your house that can be used for cost effective pest control. And I am going to share some of the best home based remedies for pest control right here in this post. There are certain chemical products available in the markets which can remove these pests and bugs, but also in turn can be harmful to the environment. If you have kids and pets at home, then you have to be extra careful while using such products. You may not know the right ways to use these chemical based products and end up in a mess. But when you use natural home remedies for pest control at home, you know you will be able to eliminate pests easily and without the fear of any side effect. In this post, I will discuss some simple and effective home remedies for pest control that can be used to get rid of most of the common pests including cockroaches, ants, mosquitoes etc. Prevention is always better than cure. You can always be double sure while you are taking up the task of do it yourself pest control at your house for removing the pests from the house. There are certain steps by which you can keep the bugs at bay. Scroll down the page to know more! 1. Start with some regular habits: You can start by adding some activities in your daily routine. Vacuum clean, or sweep, or mop the floors every day, rather very frequently. There are certain floor cleaners that you can use too. Keep all the food items properly covered and sealed so that they do not get attracted by the smell. If there are any leaks or pores, then seal them immediately as that can be the entry points of the bugs. The drainage system should be efficient and there should not be any problem of waterlogging. Check the pipes, taps, and the drainage systems in the bathroom and kitchen. Do not store the unwashed plates and dishes in the sink, as they can attract the roaches and other bugs. Clean the corners of the room well. Check the sofa sets, cushions, pillows and mattresses on a regular basis, to be double sure that there are no bugs present. Empty the trash cans regularly, and keep the garbage dump store away from the house. As the saying goes, cleanliness is godliness; a clean and tidy home is always the best! 2. Keep the ants away: Sprinkle some coffee grounds around the doors and the windows to keep the ants away. You can spray soapy water on the ants and the ant hills too. Keep the mint tea leaves near the ants and they will go away as they cannot tolerate the smell. Keep cucumber slices near the ants. You can also pour some kerosene oil over the ants for instant removal. 3. Keep the fruit flies away: Take a jar or a bowl, and keep some apple cider vinegar or some mushy soft fruits. Then cover the container with transparent cellophane paper and poke some tiny holes with toothpick. The fruit flies will be attracted by the sweet smells and they will enter through the holes. But, they will be trapped inside the container as they will be unable to exit the container. 4. Keep the cockroaches away: Keep some soapy water solution handy in a spray bottle. Spray it on the cockroaches wherever you see it. Spread some boric acid on the countertops, or sink, or pipes where you find the roaches. The bugs will carry the acid by their mouths to their nests killing all the other roaches. Beer is also effective if you spray them on the bugs. The coffee grounds, garlic, cucumber can also deter the roaches effectively. 5. Keep the bedbugs away: Take camphor and lit it in the room which is infested by the bedbugs. Keep all the doors and the windows of the room closed, after 30 minutes you will find that all the bugs are dead. You can also use alcohol to remove the bedbugs. 6. Keep the spiders away: Mix water and vinegar on a spray bottle and spread it on the spiders. They will die instantly. The spiders cannot tolerate the pungent odor of the vinegar. Even the soapy solution is effective. 7. Keep the mosquitoes away: The mosquitoes are pretty stubborn bugs that may take some hard work and patience while you are taking up the project of removing them. There are some essential oils that can be sprayed in and around the house to repel the mosquitoes. The oils or extracts of mint, tulsi, neem, eucalyptus, and lavender are very effective in removing the mosquitoes from your home. 8. Plant some herbs around the house: There are some herbs and plants that can repel many insects and bugs. You can keep them in your garden or in your courtyard or balcony. The plants include neem, tulsi, mint, marigold, eucalyptus, tea tree, and citronella. The herbs look beautiful, they will make the home look nice and also repel the insects. 9. Some essential oils and mixtures: There are some essential oils and some mixtures or solutions that can deter most of the pests. Mix 1 tablespoon of oil and I cup of grain alcohol like vodka. Keep it in a spray bottle and keep it handy. Some other essential oils include: tulsi, neem, eucalyptus, citronella, lavender, tea tree, geranium, peppermint, rosemary etc. Spray bottles are handy and you can apply the mixtures easily with these. Keep the house clean and make sure that all the food items are covered. The bugs are also living things and they need suitable conditions to breed. 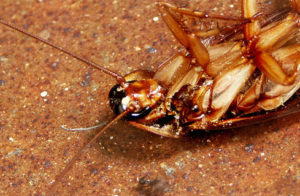 Pests like termites require professional treatments, but most of the common pests like cockroach etc can be removed easily. It is important that you take away all the basic necessities from them like food and water, and they will die automatically. The essential oils, vinegar, lemons, beer, and alcohol all these are common items and they keep the bugs away from your home. Implement these remedies and enjoy living in a pest free home.